The 2016 High-level Political Forum (HLPF) on Sustainable Development, held from 11 to 20 July under the auspices of ECOSOC, brought together Member States and representatives of civil society, the business sector, the UN system, and other stakeholders to discuss the progress made so far towards the Sustainable Development Goals (SDGs). The Forum saw the first-ever voluntary national reviews of progress towards the SDGs. Ministers from 22 countries shared the steps they had taken to lay the ground for implementing the goals. “The lessons you have offered, the action you have showcased, and the gaps you have identified – they are what this Forum is about – advancing the SDGs through sharing of experience and mutual learning,” said Mr. Wu Hongbo, UN DESA’s Under-Secretary-General in his closing remarks at the event. Further highlights of the meeting were the launch of the first Sustainable Development Goals Report and the presentation of the 2016 Global Sustainable Development Report. 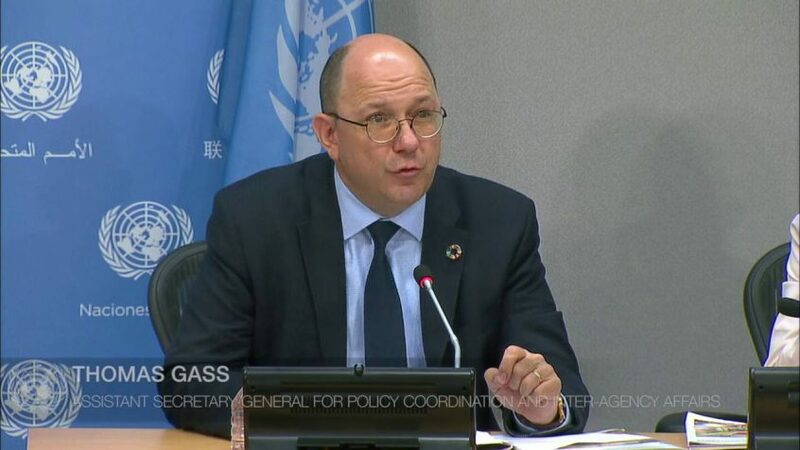 The reports served as a benchmark for the 2030 Agenda, and its further implementation will require all parts of the UN family and its partners to work together. “We need to break down silos, not only between the economic, social and environmental aspects of development, but also between government institutions, between different levels of government and between the public and private sectors,” emphasized UN Secretary-General Ban Ki-moon. Elaborate discussion between governments, civil society, the private sector, and other stakeholders during the SDGs Business Forum, the SDGs Partnerships Exchange, and over 100 side events honed in on best practises to achieve the goals. The 2016 High-level Political Forum closed with the adoption of a Ministerial Declaration. After eight days of inclusive dialogue, delegates returned home to their nations and organizations with a new sense of direction and inspiration. Together, they have embarked on a monumental and historic journey, and will continue working collectively in advancing the SDGs through sharing of experiences and mutual learning.